First of all, Medicaid is a healthcare program created by the congress in 1965. It is a program that is handled by the state and federal government and is considered to be the largest children’s health program in the United States today. Medicaid is also known as the primary source of health care for families, elderly people, and disabled that are included in the low income demography. 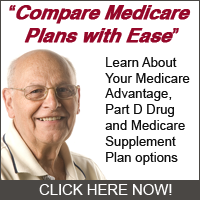 Statistics suggest that one in six Americans under the age of sixty five is covered under Medicaid. As you can see, Medicaid is definitely one of the leading health care providers in the United States today. You have to understand that Medicaid is different from Medicare. Medicaid is a joint health program provided by the state and federal government which focuses more on giving the benefits to low income families while Medicare is mostly funded by the federal government and concentrates more on the elderly and the disabled. You have to take note that the Medicaid qualification and eligibility rules for a married patient vary from state to state, which is why you need to know about the overview of Medicaid in where you live. In the state of Kansas, Medicaid is considered to be very helpful for children as it can cover almost all medical expenses incurred when they get hospitalized or in need of professional medical help. Statistics suggest that about 24 percent of children living in Kansas are enrolled in Medicaid. This figure also suggests that about 59 percent of the Kansas population is enrolled in the Medicaid program. In general, what this means is that only 21 percent of Medicaid spending is spend for children living in Kansas. You have to remember that children living in a family of four can be qualified to get Medicaid in Kansas if the total household income is below 19,350 dollars. If the children living in a family of four have an income level of roughly less than 26 thousand dollars, they will be qualified to be enrolled in the Medicaid program. Kansas Medicaid is also known as the Kansas Medical Assistance Program or KMAP. Here at KMAP, they offer the KAN Be Healthy program which focuses on keeping children and young adults healthy with regular checkups from qualified clinics and hospitals. What’s included in this program are immunization shots and regular check ups to find problems early and prevent it from getting worse. Another benefit that Kansas Medicaid can provide you is twenty four hours a day and seven days a week skilled nursing care due to a disease, injury and other long term illness that needs constant nursing care. Here, Medicaid will be able to pay for nursing home care which can include routine services and some of the supplied needed to ensure high quality care. For mental conditions, it is important that an assessment of an individual’s mental condition should be done before Medicaid will pay. These are some of the things that you have to know about Kansas Medicaid. You have to remember that eligibility and qualification rules vary from state-to-state. If you are one of the people living in Kansas and is a citizen of Kansas with a low income level, you have to try and find out if you are eligible for Kansas Medicaid or Kansas Medical Assistance Program. You will see that this program funded by the state and federal government will be able to help you with almost all your medical needs.